Cut flowers and potted flowers tend to have reigned supreme for years when it comes to flowers for property interiors. But succulents are rapidly growing in popularity and increasing numbers of us are beginning to add them to the list of plants that we want to incorporate into our homes. So, let’s take a moment to get to know them a little better! While many of us will be able to identify succulents apart from other plants in a crowd, relatively few of us actually know all too much about them. Put simply, succulents are plants that store water in their leaves. These leaves are generally thick and fleshy. 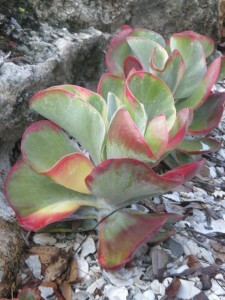 Some genus of succulents have thicker and fleshier leaves than others. There’s a seemingly endless variety of succulents on the market, so choosing the best for you can seem like a bit of a task. No matter what type of succulent you settle on, make sure to get them from a reliable supplier like Succulent Depot. This will ensure that you receive a high quality plant that isn’t damaged and stands the best chances of surviving and flourishing! Aloe vera – aloe vera has plenty of medicinal properties, but makes a great houseplant too! Its thick, pointed leaves tend to take on a green or greyish colour and some varieties have white spots. Roseum (Sedum spurium) – this pretty succulent has leaves that grow to look like a green, thick, rose. They only grow to about four to six inches tall, so are great for windowsills. 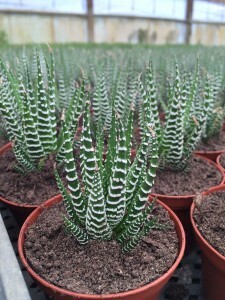 Zebra Plant (Haworthia) – you can easily see where a zebra plant gets its name. It’s green with white zebra stripes! It has particularly shallow roots, so can grow well in small pots. Jade Plant (Crassula ovata) – the Jade Plant is quite similar to a bonsai tree in the way that it grows and in its needs. It has a thick trunk and actually looks like a little tree. Its thick, shiny leaves grow in oval shapes. Some have a red colour at the tip of the leaf! There are common mistakes that many people make when they start taking care of succulents. They’re easy mistakes to make, so be aware of them and then you can actively avoid them, keeping your succulents in the best condition possible! 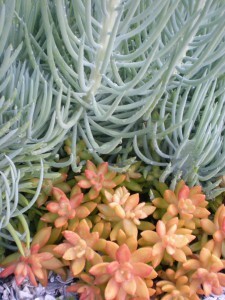 People tend to associate succulents with house cacti, as they’re generally small, green, potted, non-flowering plants. Like cacti, they also thrive in deserts. So, people tend to fall into the trap of thinking that they rarely have to water their succulents. But it’s important to remember that in the deserts where succulents naturally thrive, when it rains, it pours. 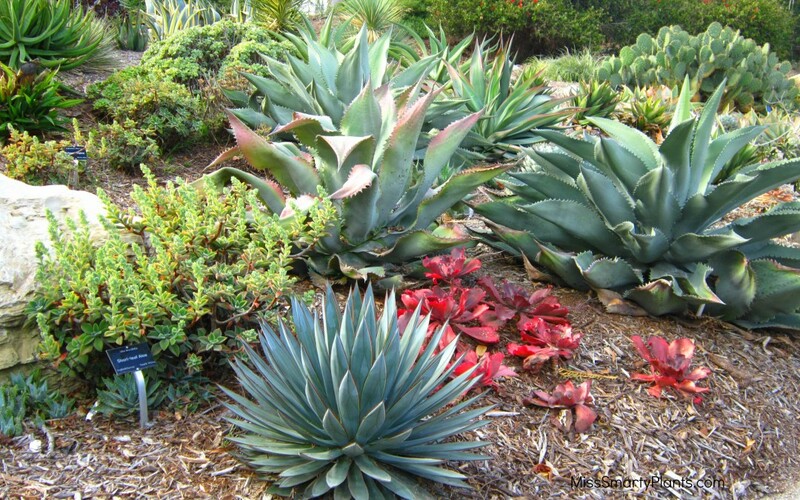 Sure, succulents can survive long droughts, but they do need water to store in their leaves and make use of over time. When it comes to watering your succulents, it’s a good idea to try to imitate the rainfall in their natural habitat. Give them occasional soakings until the water starts to drain from the bottom of the pot. This will ensure that their soil is sufficiently wet. Then, leave them until the soil is completely dry until soaking again. Seeing as succulents naturally thrive in the desert, it makes sense that they like to be in brightly lit areas where they are exposed to the sun. They’re used to being exposed to the boiling hot sun for twelve hours a day! Sure, you might think that aesthetically they look great in a particular spot in your home, but if that spot happens to be in the shade, you really should rethink. Try to place them in the sunniest window your home has. South-facing windows tend to be best! Standard potting soil isn’t the best for succulents. Again, bear in mind their natural habitat. They’ve evolved to anchor themselves into desert sands, so all-round soil really isn’t going to cut it. Your succulents should come in soil that is appropriate for them. Sure, there’s a lot more to know about succulents. But hopefully, the above information has helped to familiarize you with the basics and should help you to take good care of any that you invest in!